Our solutions can help upgrade your image and increase efficiency in public washrooms, guest rooms, kitchens, health and fitness rooms, bar, conference and reception areas. We service most brands of cleaning equipment and have preventative maintenance options for most requirements. We have a wide range of equipment specifically designed for the Hospitality Industry. We provide training and consultation. 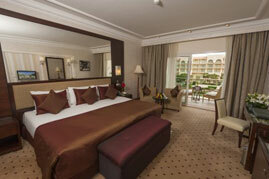 We are truly a one stop shop for the hospitality industry. To find out more, please fill in the short form below and we will contact you. Servicing South East Queensland only - We only service pressure washers within South East Qld. All the information about your machine NOW available from your smart phone. Watch how…. When a guests books accommodation at a hotel or spends a night enjoying dinner at your restaurant, they expect to be presented with a clean and welcoming environment. Whether they are paying for a luxurious room or a burger, ambiance is an important feature that should be included in the cost. At Alphaclean, we guarantee that with our wide-range of cleaning equipment, you will have the necessary tools to keep your facility clean, and your guests happy. 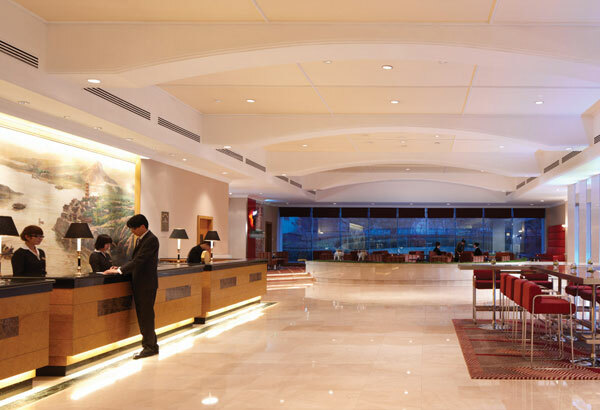 Maintaining the strict and extremely high standards set by the hospitality industry can seem overwhelming, but with Alphaclean on your side that worry is gone. The cleanliness of your accommodation should fit the image of the location as a whole. By selecting one of the products at Alphaclean, you are guaranteeing a healthy environment for guests and staff alike. The Truvox Tub vacuum tops our list as one of the most popular products in the hospitality industry. 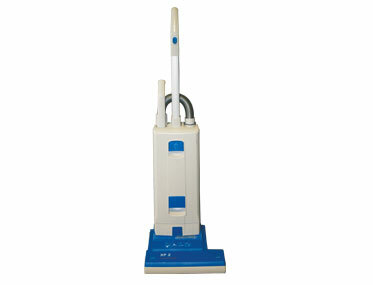 It’s compact and lightweight, so you can move with ease to clean the entirety of your facility. These qualities make it ideal for use when zooming around offices, restaurant tables, or bedroom furniture. Additionally, the unit comes with a HEPA 10 filter, which can catch particles of 0.3 microns and up, so you can trap allergen-causing dust from entering the air. Despite the machine’s lightweight body, it still how a spacious 5-liter capacity to hold dust, allowing you to cover the inside of a building without stopping. An indicator light also notifies the user when the bag is full or if there is a block in the system. Turn to Alphaclean as the supplier for the latest and greatest cleaning technology for your education and training facilities. We service most brands of cleaning equipment and have preventative maintenance options to keep your machines running smoothly. Our selection of cleaning materials is crafted with you in mind to reduce the cost of cleaning and prevent machine downtime, meaning more money and productive time for you. Check out another one of Alphaclean’s top products on the list for the hospitality industry. The Aussie Backpack or SUREVAC SV2 has been around since 1985, and remains one of the most popular and effective vacuum cleaners to this day. Complete with an extendable wand and a variety of hands tools, you can’t go wrong with this all-inclusive cleaner. 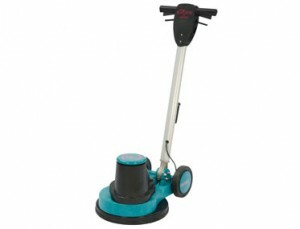 Despite its heavy-duty capabilities and study build, it weighs a mere 4.1 kg, so you can clean without the physical strain. Along with the lightweight, adjustable shoulder and waist straps allows for back support, minimizing bodily stress. The material is well ventilated and designed with removable lamb’s wool sleeves for comfort. 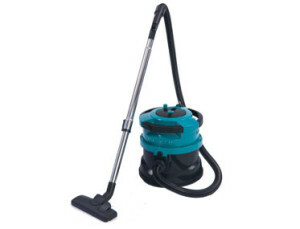 It has a 5.5-liter carrying capacity with an internal filter and dust bag that can easily be cleaned. Additionally, the easy lid clip system enables free movement, which is perfect for both right and left handed users. 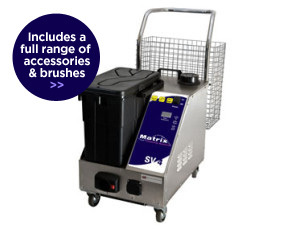 The Matrix SV4 is a commercial steamer and vacuum cleaner designed to eradicate bacteria and disinfect rubbish with a one-steam system. Whereas traditional mops fail to clean and even spread dirt around, the steam from the Matrix is so hot and high-pressured that debris is instantly combated. This powerful machine also has the capability to kill bedbugs, which can be a devastating issue in the hospitality industry. A continuous fill boiler can be replenished with water while you are cleaning, leaving zero reheat time. The stainless steel body and boiler are both durable and long lasting—a great investment over time. With an expansive selection of inventory and efficient machines, Alphaclean’s certain to have the cleaning equipment and products for your business’ needs in the hospitality industry. Our location has it all, so you don’t have to waste time searching. If health, saving time, and cleanliness are you top priorities, then turn to Alphaclean’s for innovative and industrial cleaning machines that will help you achieve these goals.